When we say our tours are led by experts, we do not simple mean knowledgeable tour guides. We mean real subject-experts – academics, former politicians, economists, activists or organisations – with in-depth knowledge of the issues and extensive networks in the country. They will help paint the bigger picture and contextualise the wide range of different opinions that you will hear from the people we meet, so that you can make up your own mind. We are delighted to partner with Transparency International Armenia, who have designed and will accompany this tour. Transparency International Armenia is a civil society organization which focuses on the fight against corruption and the promotion of accountable governance within the country. It takes a systemic and holistic approach to fighting corruption, including the support to free, fair and transparent elections, the promotion of the democratic process and human rights and the transparent use of public resources. Transparency International Armenia undertakes significant research and has produced many publications, making it a leading expert on corruption, governance and democracy. This combined with its wide network and the fact that corruption has been a major cause of recent protests within the country makes it an ideal guide for the tour. 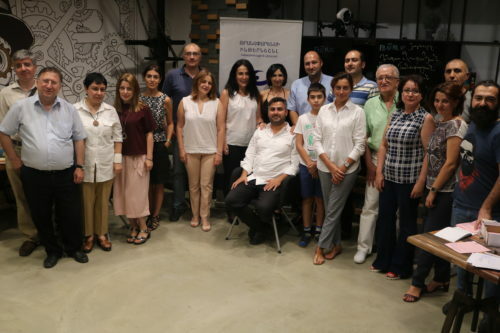 Although much of Transparency International Armenia’s work focuses on the development of effective political institutions within the country, it is strictly non-partisan in the sense that it does not support a particular political party. Transparency International Armenia is the national chapter of Transparency International, the world’s leading civil society anti-corruption movement. Detailed information on our Armenia Tour you can find here. The Bulgarian School of Politics works to support the promotion of democracy through the training of civic and political leaders throughout the country. The core values it promotes in its work are pluralism, tolerance and informed debate. The School is a co-founder of the European Network of Schools of Politics, created under the auspices of the Council of Europe and having members in 21 countries throughout Central and Eastern Europe, the Caucasus and North Africa. The Bulgarian School of Politics was established in 2001, 12 years after the collapse of communism in Bulgaria and at a time when democracy was still being consolidated. Having trained more than 650 Bulgarian and 250 international leaders, the school has a very wide alumni of politicians of all political persuasions throughout the country. This alumni is supplemented by a wide network of experts, academics, business people, journalists, board members, staff and other NGOs, which enables the School of Politics to have relationships in all parts of Bulgarian society. As such, it is ideally placed to provide the expertise and access for the Bulgarian tour. Detailed information on our Bulgaria Tour you can find here. We are delighted to have Professor Professor Dr. Felipe Hernández Pentón as our guide on this tour. 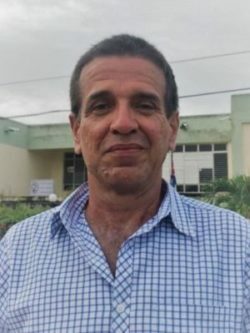 Felipe has been a Professor of Economics at the University of Sancti Spiritus since 2001. Prior to that he spent 15 years as a Professor at the University of Santa Clara. Felipe has researched and written on a variety of topics in Cuba, ranging from the dual exchange rate to education and from agriculture to monetary reforms. He has presented his research work in over 50 publications and conferences worldwide. His wide area of research work, experience of the different phases in Cuba’s recent history, combined with his large professional network throughout the country make him an invaluable local guide and expert for this tour. Felipe has a Doctorate in Economic Sciences from the University of Girona-Matanzas (Cuba) and an MSc in Economic Development from the University of Oviedo (Spain). He has also been a visiting academic at the Berlin Free University (Latin America Institute) and the Berlin Technical University. Felipe is a fluent German speaker. Detailed information on our Cuba Tour you can find here. Dr. Miklós Marschall has had a long and distinguished career in both his native Hungary and internationally. Soon after the collapse of communism, Miklos was elected Deputy Mayor of Budapest, responsible for arts, culture, education and tourism. Miklos was also an early advocate of the importance of civil society in East and Central Europe, having initiated, chaired and served on the Boards of a number of Hungarian and international Not For Profit Organisations. 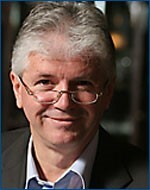 In 1994, Miklós became the (founding) Executive Director of CIVICUS, the World Alliance for Citizen Participation headquartered in Washington D.C. From 1998 – 2017, Miklos served in leadership positions (first as Europe and Central Asia Director, then as Deputy Managing Director) for Transparency International, the global anti-corruption organisation. As well as having a deep personal and professional interest in politics, economics and, in particular, the role of civil society, Miklos’ true passion is music. Since 1993, he has been on the Board (including 15 years as Chair) of the Budapest Festival Orchestra, one of the leading orchestras in the world. Miklós received his doctorate from the Karl Marx University of Economic Sciences in Budapest in 1984. In 1988-89 he was a Fulbright visiting fellow at Yale University. Detailed information on our Hungary Tour you can find here. Dr. Saad Filali Meknassi’s fields of expertise are democratic governance, sustainability and the dynamics between civil society and businesses. 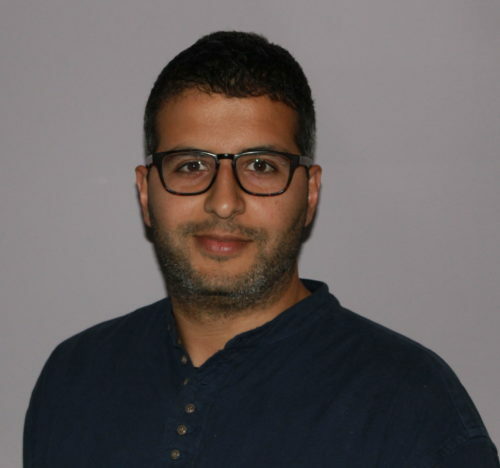 Saad currently works as a Senior Consultant to the World Bank group, undertaking a range of research and development work across the Middle East and North Africa and Africa, including in his native Morocco. Saad has previously worked extensively for a range of both International Organisations and Non-Governmental Organisations, meaning that he is able to bring many different perspectives to the table. These include the International Labour Organisation, UNESCO, United Nations Office for Drugs and Crime, Open Society Foundations, World Resources Institute, Global Integrity and Transparency International Morocco. Saad holds a PhD in Economics from the University Mohamed V of Rabat where he focused on Corporate Social Responsibility in Morocco and the big South. Beyond his professional area of expertise, Saad’s personal area of interest is in supporting youth development and international youth exchanges. He is fluent in French, Arabic, Spanish and English. Detailed information on our Morocco Tour you can find here. Dr. Marco Jowell is a leading expert in the politics, political economy and security dynamics of East and Central Africa. He is currently a Director and co-founder of the African Research Group, with an emphasis on governance, conflict, peacekeeping, security, military and development in Africa. He is also a Research Associate at the School of Oriental and African Studies, University of London. Marco has provided extensive policy advice to a number of governments in the areas of security, politics and development. He has held a number of positions focussing on East and Central Africa including Senior Analyst at the UK Foreign and Commonwealth Office, the United Nations Group of Experts for the Democratic Republic of Congo and strategic adviser at the Rwanda Peace Academy (RPA). 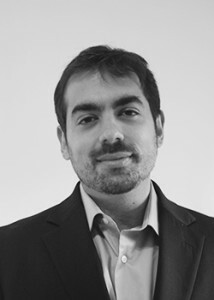 Marco also has a significant background in teaching and research. Amongst others, he teaches courses to diplomats at the Rift Valley Institute, has taught military personnel on peacekeeping at the RPA and International Peace Support Training Centre in Kenya. As well as being former Director of Research at the Great Lakes Centre for Strategic Studies in Kigali, Marco has undertaken numerous research assignments for a variety of government, international organisation and private sector clients. Marco’s book “Peacekeeping, Politics and the Failure of Foreign Military Assistance in Africa” has recently been published. He is currently writing his next book “The Rwanda Defense Force: Defense and Security in East Africa”. He has published a number of articles. Marco holds a PhD from the School of Oriental and African Studies, University of London. Detailed information on our Rwanda Tour you can find here. We are delighted that the tour will be led by Krystyna Schreiber, an author and journalist and commentator based in Barcelona. 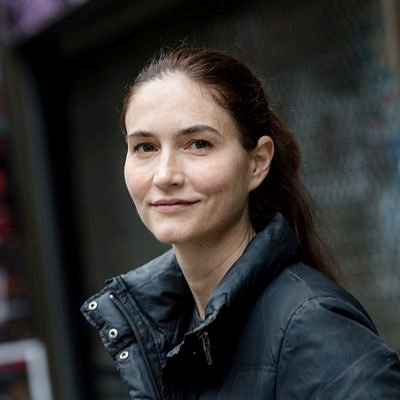 Widely regarded as one of the German language’s leading experts on Catalonia, Krystyna has written, presented for and collaborated with numerous media publications, including Welt/N24, Junge Welt, Jungle World, Taz, Der Freitag, Phönix, SRF, TV3, Rac1, Catalan News Agency, Diario16. As well as hosting a Radio show (“What’s on in Catalonia?”) on Barcelona City FM, she is author and co-author of various books on the independence movement. With “Die Übersetzung der Unabhängigkeit” (“The Translation of Independence”) she won the Journalist Prize 2016 of the Institut of the European Regions. Detailed information on our Spain (Catalonia) Tour you can find here. 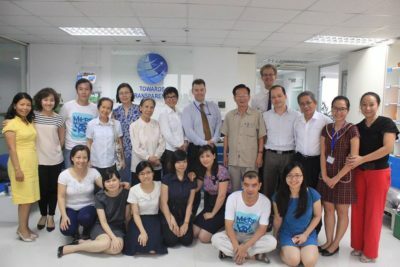 We are delighted to partner with Towards Transparency Vietnam for this journey. Founded in 2008, Towards Transparency is an independent Vietnamese not-for-profit consultancy company, which focuses on anti-corruption. Towards Transparency Vietnam is also the National Contact organisation of Transparency International, the global anti-corruption coalition. Towards Transparency does not investigate individual cases of corruption, but rather seeks to contribute to play a constructive role in helping bring about systemic changes in the fight against corruption in Vietnam. It works with a range of partners from the government, media, business, academia and civil society, meaning it has a wide network throughout the country. As such, it is the ideal partner for this unique tour to Vietnam. Detailed information on our Vietnam Tour you can find here.